Where can I find West Chester Invisalign? Are you looking for a skilled and compassionate dentist that can address the oral care needs of your entire family? At West Chester Dental Smile Center, we are experienced in treating patients of all ages and offer the highest quality of care. Whether it is your child’s first dental visit, you require emergency care, or you are considering a West Chester Invisalign treatment, you can be confident that we are well-equipped to serve your dental needs. We have helped many patients achieve their dental goals and we are confident we can do the same for you and your family. New patients are always welcome to our state-of-the-art facility, your resource for the best in modern dentistry. 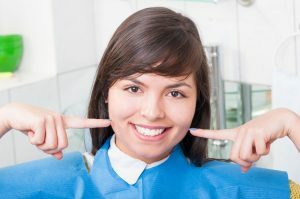 If you are considering methods for straightening your smile, you are going to want to explore all your available options. With advances in modern dentistry there is an excellent alternative to traditional orthodontic treatment. At West Chester Dental Smile Center, we are dedicated to remaining at the forefront of the latest innovations in care. West Chester Invisalign treatment is a method that provides the most discreet way for teens and adults to achieve a well-aligned smile. Using sophisticated computer imaging technology, we map out the unique dimensions of your mouth and formulate a treatment plan to correct the alignment of your teeth and bite. Our Invisalign system comes as a successive series of BPA-free plastic aligners that are each worn for approximately two weeks. The aligners gradually move your teeth into the correct positions and occlusion. One of the main reasons for the popularity of Invisalign, is that the aligners are designed to be virtually invisible when worn and are removable for short periods of time, meaning you can still enjoy the foods you love and maintain your oral hygiene the same as before. 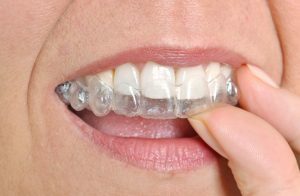 If you are considering West Chester Invisalign or any other treatment to correct a misaligned smile, pay a visit to the professionals at the West Chester Dental Smile Center. For more information and to schedule an appointment, give us call today. We look forward to hearing from you! This entry was posted in Invisalign and tagged Clear Braces, Invisalign, Orthodontics on July 10, 2018 by admin. If you’re looking to enhance the beauty and functionality of your smile, our West Chester orthodontist may be able to help. 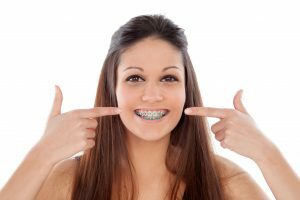 Orthodontic treatments are great way of achieving optimal levels of oral health by correcting many malocclusions such as crooked or gapped teeth and poor jaw alignments. At West Chester Dental Smile Center, we can help you attain the perfect smile of your dreams with Invisalign. Invisalign produces aesthetically-pleasing results in a convenient treatment plan that can be personalized for each patients’ unique needs. As the clear, removable alternative to traditional metal braces, Invisalign has soared in popularity in recent years. It’s a transparent appliance which makes it ideal for image conscious individuals who wish to retain a professional appearance while they’re gaining straighter teeth. It can also be taken out to floss, brush, and eat making it a unique and convenient orthodontic treatment. Invsialign corrects many malocclusions by utilizing a complete sequence of BPA-free plastic aligners, each of which is worn for approximately two weeks. These aligners are custom fabricated to fit your mouth at different stages of treatment to guide your teeth into new, straighter positions. 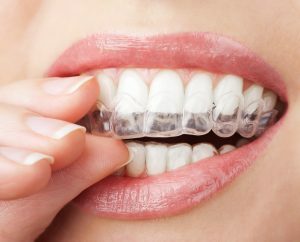 As our West Chester orthodontist will tell you, Invisalign is not only an effective method for producing a more appealing smile, it will also help to improve your oral health? The crevices between crooked teeth can be hard to reach when brushing and flossing, making them susceptible to decay and gum disease. In addition, irregular dental alignments can lead to a lot of myofacial problems and discomfort such as TMJ. 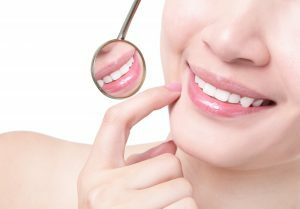 At West Chester Dental Smile Center, we seek to help our patients explore treatment options that improve their dental health and give them a more attractive smile. If you’re seeking a West Chester orthodontist to help you gain visibly straighter teeth, our distinguished orthodontists at West Chester Smile Center offer a wide range of cosmetic treatments designed to make your dream of a perfect smile a reality. Give us a call today. This entry was posted in Orthodontist and tagged 45069, Braces, Dental Exam, Dental Office, Dentist, Dentistry, Invisalign, Ortho, Orthodontics, Orthodontist, West Chester on January 11, 2017 by admin.